Ah, memories. They’re such beautifully abstract clouds that follow us around. What are your favorite memories? Which ones make you laugh? Here’s one I love: the time my older son found out where I kept my strawberry Chapstick (yes, I still used petroleum on my lips back then). He innocently walked over to me and offered me some (apparently he meant off of his face, since there was none left in the tube). Equally lovely is the memory of my younger son discovering that his index finger fit perfectly into the tube of my lip balm once he let the product warm to his touch and squished it all down and out. It’s such a cherished little memory, the one of him proceeding to smear the melted lip balm all over himself and every object in his path. Thusly, I’ve sacrificed countless lip balms to these two little creatures. But my second son has been far worse than his brother. About the time he turned 18 months is about when I went onto auto-delivery/ “Subscribe and Save” for my Nivea blue tube balm. And so it was that for a spell of time I was afraid to use any lip balm that cost over $3, lest one of my offspring found it and decided to wax the floors with it. But I’ve waited long enough. Now I am re-entering the world of fancy lip balm like a hungry person at Golden Corral. And why not take you along with me for a second meal ticket at half-price? 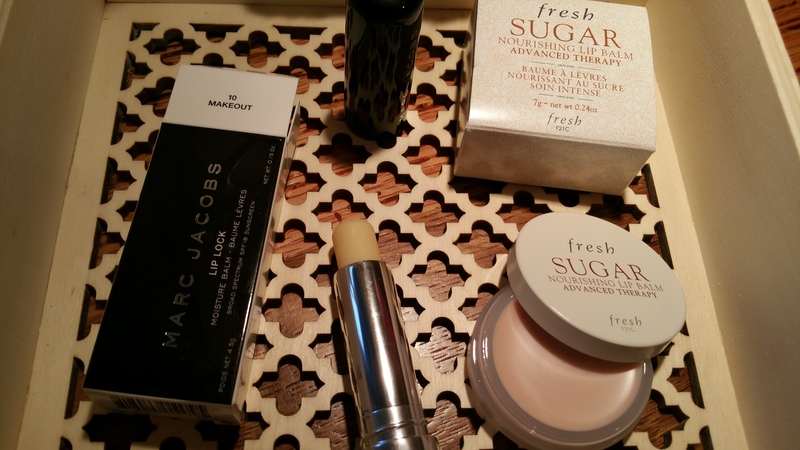 Without further ado, welcome to: Part 1 of the Lip Balms & Treatments Series! This series will feature non-tinted lip balms that are luxe, cheap, and everything in-between! Oh, let me back up a step and address the issue of mint– I’ve mentioned in several posts that mint irritates me. But that’s only in some concentrations and in some products. It’s typically the ones that tingle and clear my sinuses at the same time that I avoid. I also really dislike those (ahem, European) products that are mentholated. Yeah. That’s just crazy. 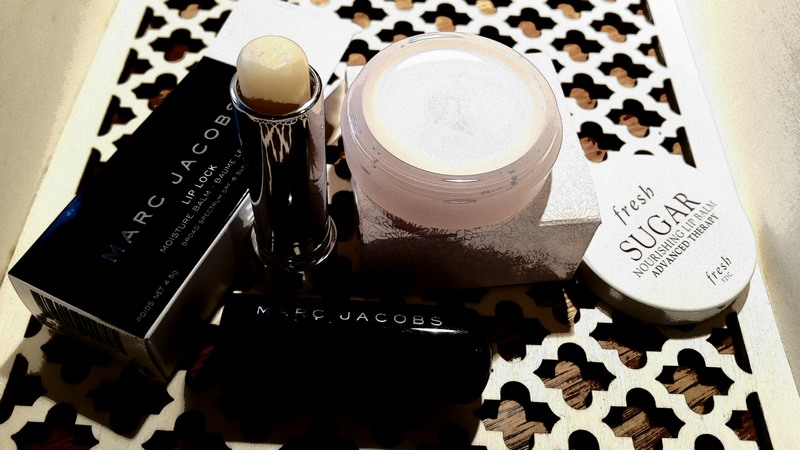 So here Marc Jacobs was the mintier of the two balms. Since I only applied it once, the mint didn’t bother me. But I can’t say what would happen if I used it continuously for a day. Note that Fresh’s mint is sweet. If you lick your lips you will taste minty sugar. I can’t recall any of Fresh’s other lip treatments being this way. Both of these balms had great smoothness and texture. I like lip balm to be thick and stay put. Ideally I want a perfect mix of emollients and balm, such as shea butter and wax, or any other butter or oil with another ingredient to seal it in. I also like balms to feel silky smooth and not grainy. Fresh was probably the smoother balm of the two, but that could be because it had to be warmed up with a finger to get from the jar to the lips. 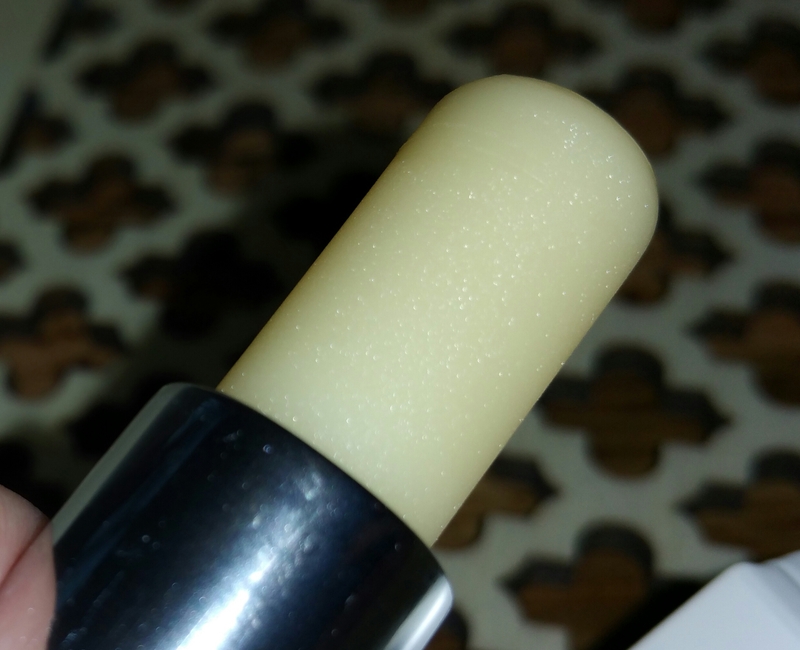 First I’ll say that I don’t particularly like squeezey tube lip balms, meaning ones that come out of a slanted or rounded tip with a snaking ribbon of product. Quick memory here: remember when I told you about that time I was at the hippie summer camp in Vermont? There I used to go to the canteen and buy those little squeeze tubes of Vaseline, meant for chapped lips. I had a different usage in mind though. Along with my friend, Becky, I would go to an unsuspecting tree stump and squeeze out ribbon after ribbon, and pile after pile, of petroleum snakes. The little piles looked pretty cool. I don’t recall every being questioned as to why I needed 3 new tubes of Vaseline a day…. Anyway, so my preferred presentation for lip balm is either in a stick or in a jar. I like each for different reasons, but I’ll save this discussion for another part of the series. 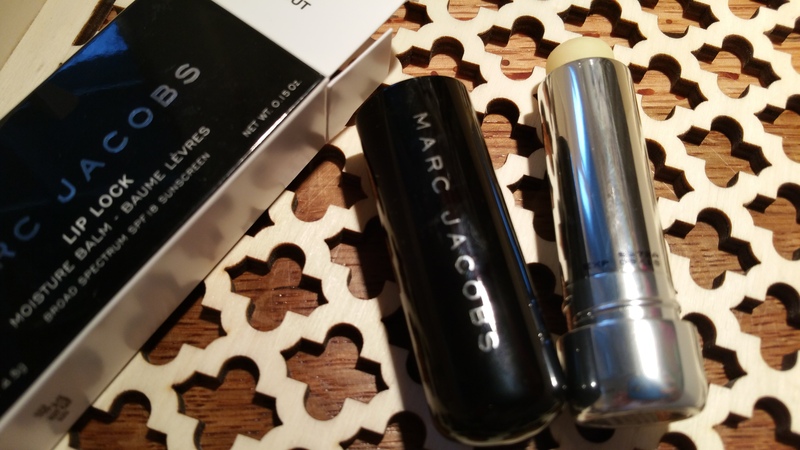 Here, both Marc Jacobs and Fresh picked the proper packaging for their balms. I hate when a really squishy or liquidy balm is in a stick, or a super hard one in a jar. But that wasn’t a concern here. I forgot to mention that I’m doing whatever I can to avoid any petroleum based balms for this series. Wherever possible I’m selecting balms that have ingredients posted in full so I know what I’m going to get (I primarily shop for cosmetics on-line). 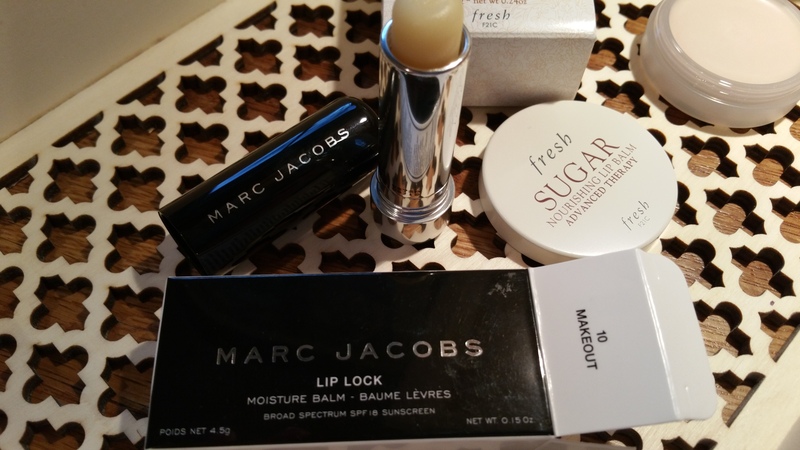 Marc Jacobs Lip Lock Moisture Balm Ingredients: Caprylic/Capric Triglyceride, Polypropylene, Carthamus Tinctorius (Sfflower) Seed Oil, Helianthus Annuus (Sunflower) Seed Oil, Polyethylene, Ozokerite, Cera Alba, Butyrospermum Parkii (Shea) Butter, Ethylhexyl Methoxycinnamate, Ethyl Macadamiate, Glycerin, Cera Carnauba, Styrene/Butadiene Copolymer, Benzophenone-3, Polyglyceryl-3 Polyricinoleate, Octocrylene, Butyl Methoxydibenzoylmethane, Ptfe, Limnanthes Alba (Meadowfoam) Seed O Il, Persea Gratissima (Avacado) Oil, Simmondsia Chinensis (Jojoba) Seed Oil, Cii-I6 Alcohols, Phenoxyethanol, Hydrogenated Lecithin, Palmitic Acid, Betaine, Mantha Viridis (Spearmint) Leaf Oil, Mentha Piperita (Peppermint) Oil, Carapa Guaianesis Seed Oil, Ribes Nigrum (Black Currant) Seed Oil, Tocopheryl Acetate, Mauritia Flexuosa Fruit Oil, Propanediol, Retinyl Palmitate, Momordica Grosvenorii Fruit Extract, Aqua, Tocopherol, Lamic Acid, Tbhq, Vitis Vinifera (Grape) Juice Extract, Bht, Limonene. Contains Benzophenone-3. 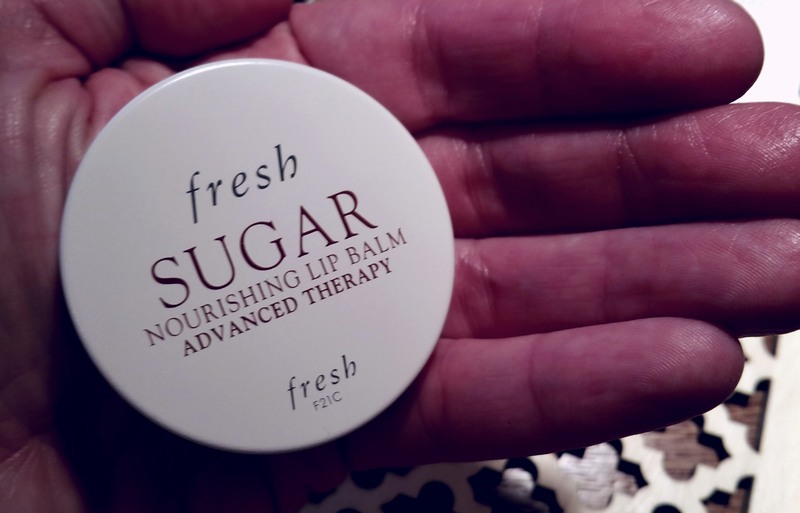 Fresh Sugar Nourishing Lip Balm Advanced Therapy Ingredients: Dipentaerythrityl Hexahydroxystearate/Hexastearate/Hexarosinate, Ricinus Communis (Castor) Seed Oil, Polyethylene, Diisostearyl Malate, Simmondsia Chinensis (Jojoba) Seed Oil, C10-30 Cholesterol/Lanosterol Esters, Synthetic Wax, Vitis Vinifera (Grape) Seed Oil, Calcium Aluminum Borosilicate, Ethylhexyl Palmitate, Stearalkonium Hectorite, Octyldodecanol, Fragrance, Ozokerite, Shorea Robusta Seed Butter, Prunus Domestica Seed Oil, Irvingia Gabonensis Kernel Butter, Hydrogenated Coco-Glycerides, Hydrogenated Vegetable Oil, Sucrose Tetrastearate Triacetate, Passiflora Incarnata Seed Oil, Crithmum Maritimum Extract, Commiphora Mukul Resin Extract, Ascorbyl Tetraisopalmitate, Tocopheryl Acetate, Tocopherol, Caprylic/Capric Triglyceride, Alumina, Propylene Carbonate, Silica Silylate, Ci 77891 (Titanium Dioxide), Menthol, Ammonium Glycyrrhizate, Vanillin, Bht, Trihydroxystearin, Synthetic Fluorphlogopite, Butylene Glycol, Ci 77491 (Iron Oxides), Caprylyl Glycol, Aqua (Water), Polyglyceryl-3 Polyricinoleate, Sodium Hyaluronate, Tin Oxide, Hexylene Glycol, Propyl Gallate, Limonene, Citral, Linalool, Phenoxyethanol. They both feel good on and have great ingredients, but I can’t say for sure whether these balms are long term keepers. Sometimes I’m surprised when a product seems great at first but then becomes a weapon to my lips after a day or two. But I don’t see that happening with Fresh, based on this brand’s track record. And of course, I’m assuming if you buy Marc Jacobs you’re ok with chemical SPF. 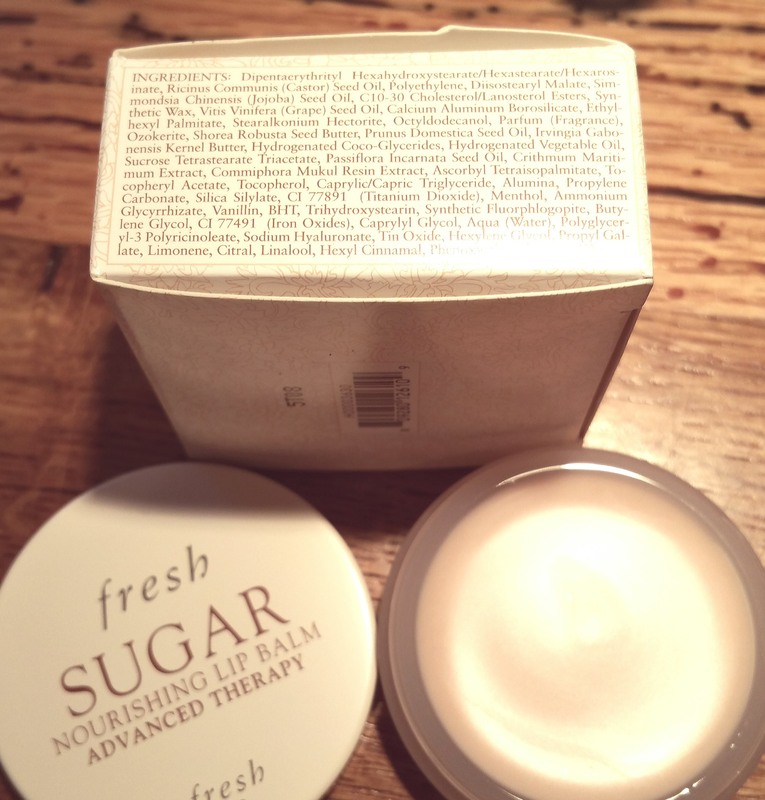 Summing up, I recommend both of these lip balms for those who like to have a luxe tube or jar of balm on hand, like a pretty little piece of candy. 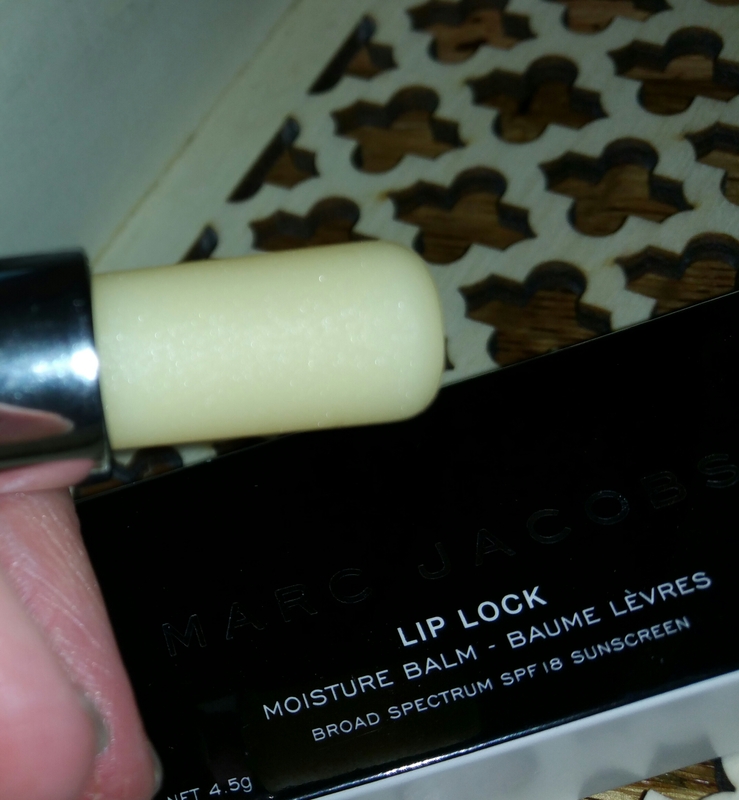 Of course, I won’t personally be buying Marc Jacob’s balm again unless he removes the chemical SPF. Before I go, let me give you some hints about whats to come in Part 2 and on, because who doesn’t love a little name dropping? 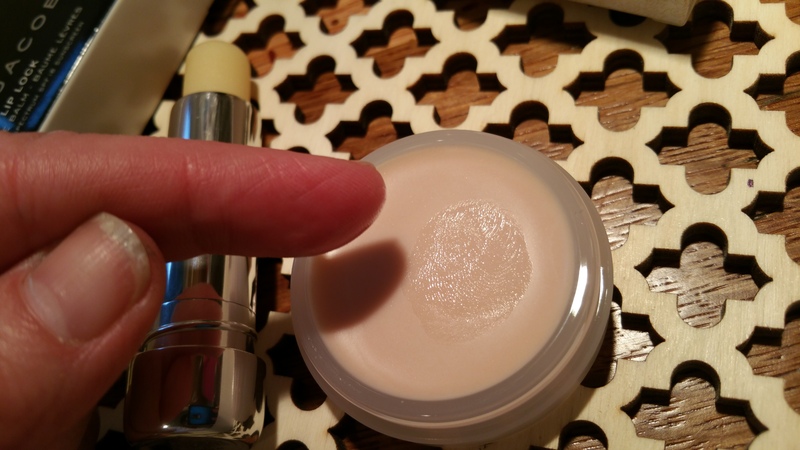 I’ll be showing you balms from Lierac, Kevin Aucoin, Pixi by Petra, Weleda, and lots more! Until then, my lips are sealed!